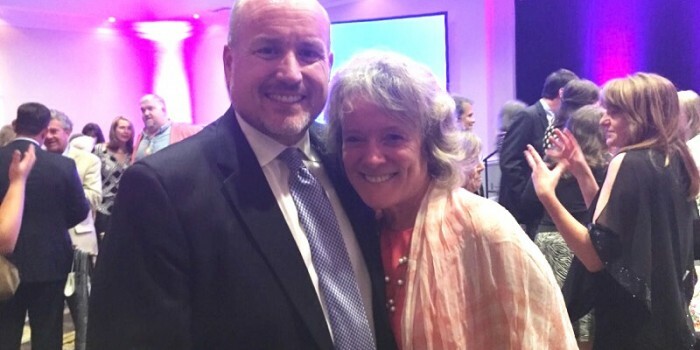 Christopher Nichols ('91, JD '94) with Dean Suzanne Reynolds at the NC Advocates for Justice induction ceremony on June 15, 2015. Chris Nichols (’91, JD 94), a partner at the Nichols Law Firm in Raleigh, has been elected president of the North Carolina Advocates for Justice (NCAJ), a state-wide association of attorneys and other legal professionals who protect the rights of all North Carolinians in civil and criminal cases. As president, Nichols will lead NCAJ’s Executive Committee for the June 2015-June 2016 fiscal year. He has previously served as NCAJ’s Education Vice President, Communications Vice President and Legislative Vice President and as past Chair of the Auto Torts Section. Nichols is the editor of the North Carolina Personal Injury Liens Manual, a top-selling book published by NCAJ and LexisNexis. The election took place at the association’s annual convention currently being held at the Sea Trail Resort in Sunset Beach, North Carolina. The Houston Chronicle picked up the story here. The NC Advocates for Justice (NCAJ) and its 4,000 members are dedicated to protecting the rights of all North Carolinians. NCAJ provides continuing legal education for lawyers aimed at enhancing the quality of the legal profession, offers public education programs aimed at enhancing public access and understanding of the legal system, supports the writing of amicus briefs for the appellate courts, and advocacy work at the legislature in the areas of criminal and civil justice. The association has served its members for more than 50 years.